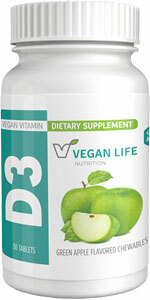 A unique formulation, Vegan Life Nutrition D3 is made with Vitashine (the only vegan Vitamin D3 registered with the Vegan Society) and contains a 100% lichen plant-based form of cholecalciferol. 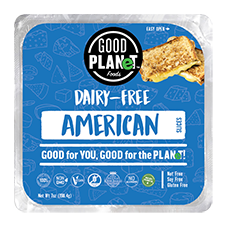 Formulated in conjunction with independent expert laboratories including Stirling University (world renowned experts in lipid analysis) to validate the research, this is a breakthrough product for vegans who are concerned that they may not be absorbing vitamin D2 effectively and wish to have the best possible source that’s cruelty-free. Vitamin D3 (cholecalciferol, normally derived from animal sources) is the form of Vitamin D produced by the body after sun exposure. 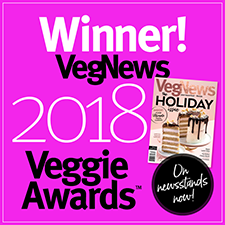 Common vegan Vitamin D supplements are Vitamin D2 (ergocalciferol), which is a derivative of ergosterol and is not produced by land plants or vertebrates. The healthy debate continues in the scientific community regarding whether D2 actually offers equivalent efficacy to D3 in the body, with the majority of scientists suggesting that D3 is superior. When people are diagnosed with a deficiency of Vitamin D, physicians always prescribe D3 to correct the issue due to their belief that it is better utilized by the body. Modern lifestyles mean we just don't get the level of Vitamin D from the sun that our bodies are designed to obtain. Dietary sources are minimal and a frightening proportion of society is Vitamin D deficiency. Individuals with a suitable level of Vitamin D in their diet and those who supplement are typically much better equipped to fight off colds and ailments. There are links to preventing many types of diseases by consuming adequate Vitamin D. It also has reparative properties and often high levels of Vitamin D3 are given to patients during treatment to recover from different illnesses and diseases associated with Vitamin D deficiency. Each bottle contains 30 chewable tablets, with each tablet containing 1000iu (25mcg) of vegan-sourced Vitamin D3. $11.99 per bottle.